From a timing perspective, the Arizona schools would seem to have the next best shot. They’ll each host the Huskies in the coming week. Arizona has a vaunted home court but has disappointed recently while Arizona State would seem to not quite have the shooting prowess (ranking 199th in effective FG%) to shoot their way over the zone. Of course math would suggest Washington drops one of these two games. Thus, once again leaning on math, I’m drawn to their upcoming match-up with Arizona State. The Sun Devils are one of the premier rebounding teams in the country, rating among the top 40 in both defensive and offensive rebounding rates. Washington, for all its strengths, is an aggressively poor defensive rebounding team. Opponents are collecting 33.2 percent of their misses against the Dawgs (326th worst, nationally). It’s the obvious flaw to the zone but it’s also a sort of bend-but-not-break characteristic. Stanford, for example, rebounded 43 percent of its misses against the Huskies and lost by 16 points. This entry was posted on Friday, February 1st, 2019 at 1:55 pm by Adam Butler	and is filed under feature, microsites, pac 12. Tagged: mike hopkins, washington. You can follow any responses to this entry through the RSS 2.0 feed. You can leave a response, or trackback from your own site. The national narrative that the Pac-12 is having a historically poor season. While that is, mostly, correct pundits are incorrectly labeling Washington as a mediocre team. 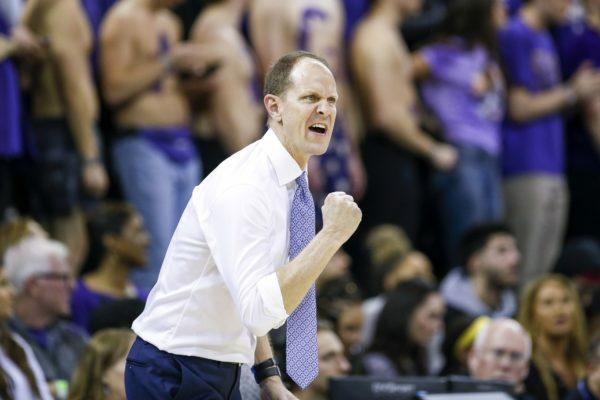 The Huskies could easily win two games and be a dark horse spoiler in the Round of 16. All that said…the league looks to have two teams in the NCAA tourney (UW and ASU). The conference tourney is going to be wide open and match up dependent – I could see Oregon State and UCLA as teams that could put together a hot stretch and steal a bid. What are your thoughts AB?